Stolen iPhones are still big business on the black market, but they are becoming less attractive targets for would-be thieves thanks to newer security features and theft deterrents in recent iOS versions. Apple's has loaded its iPhones with security settings that thieves hate to encounter. 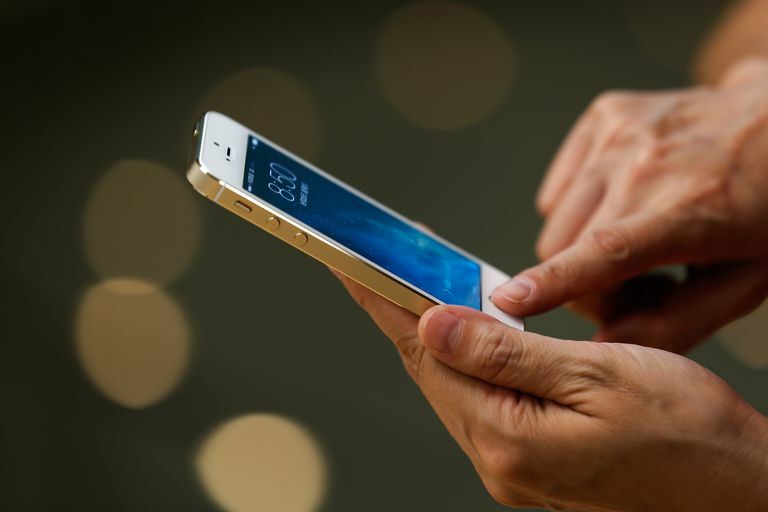 Most iPhone owners know they need to lock their phone with a secure passcode and turn on the Find My iPhone feature, but Apple provides other lesser-known security features you can take advantage of to protect your iPhone. IPhones with a Touch ID fingerprint reader or Face ID facial recognition add a layer of security by allowing users to use a fingerprint or facial scan instead of typing in their passcodes. Thieves don’t like this feature because users of Face ID and Touch ID are more likely to use a strong passcode — rather than a basic 4-digit passcode — that they won’t have to enter often. Complex passcodes capability has been around for a while, but it is underused. Occasionally, Face ID or Touch ID may fail, requiring passcode entry, but this is rare, so a complex passcode is not as big a hassle as it once was. On the flip side, if you’re not using a strong passcode, thieves might guess your code, making the use of Touch ID or Face ID as a security measure irrelevant. Activation Lock is part of Find My iPhone; it is enabled automatically when you turn on Find My iPhone. It keeps your iPhone secure, even when it is in a thief's hands. Apple's anti-theft feature has been credited for having a major impact on iPhone theft rates worldwide. The Activation Lock feature requires a user to authorize a data wipe or fresh installation of the operating system. Before this feature was part of iOS, a thief could wipe an iPhone clean, removing all trace of the previous owner and making it easier to resell on the black market or elsewhere. Now, with the addition of the Activation Lock feature to Find My iPhone, the owner of the phone has to enter their Apple account password before the phone can be wiped, which binds the phone to a specific person and makes it a much less attractive target because it cannot be easily wiped and resold. After thieves steal your phone, they turn off its ability to broadcast its location so the rightful owner can't locate it and inform law enforcement where the stolen phone can be found. You can make this task harder for thieves by enabling the iPhone's restrictions settings, which are normally associated with parental controls, and then lockout changes to location services. Enabling restrictions requires its own passcode, and a thief would have to know your 4-digit restrictions passcode to turn off the phone’s GPS homing beacon. Remote Lock is another major data privacy and theft deterrent feature that Apple added to the iPhone OS. If you can’t find your phone and you’re pretty sure it’s not under a couch cushion at your house, Lost Mode will lock it with a passcode and allow you to display a message of your choosing such as “Give Me Back My Phone! !” Lost mode renders your phone pretty much useless to thieves and helps protect your personal data. Lost mode suspends use of your credit cards that are on file with Apple so that crooks can’t rack up purchases on your dime, and it suspends alerts and notifications. When you can't find your iPhone, turn on Lost Mode immediately using Find My iPhone on iCloud.com.